With Car Wreckers SA, you have a ‘Car wrecker that pays cash upfront for your car’. We accurately price cars, paying our customers up to $9,999 for the sale of their cars to us. Wrecked, accident, damaged, and old cars can be difficult to get rid of. Typically, there is no demand for the cars. When a wrecker that will accept the car is found, many times there are costs involved, such as towing or dismantling. 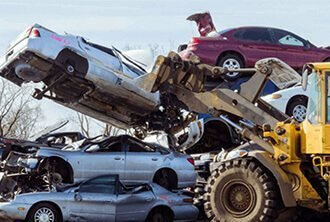 With Car Wreckers Adelaide, you have an auto wrecker that will accept your car or truck, SUV or van, or any other type of auto regardless of its make and condition. You won’t be prepping your car for us to buy it. No draining its fluids, no removing the tyres, etc. We buy your car as it is. You won’t be paying us to wreck your car. When we buy cars, we wreck it at no cost to our customers. You won’t be paying for towing to bring your car to our yard. When we buy cars, we provide our customers with free towing, coming to their locations to buy and remove their cars. With us, the damage your car may have suffered is no concern. We buy cars with every level of damage. We are your local Scrap Car Removals Adelaide that pays cash up to $9,999 for cars of all conditions. Go with the Wreckers in Adelaide that know how to get great value from cars of every type and condition. With Car Wreckers SA, there is no towing charge when we buy your car, as we come to remove it for free. We are your auto buyer, wrecker, and removal company all in one. 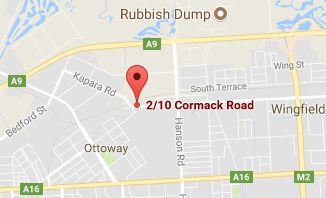 At Car Wreckers SA, our wreckers are as good as they could get. We are a Wrecking Company with a team of top-notch professionals that have a real passion for their jobs. Our wreckers are equipped with all the best and latest tools and equipment to dismantle, wreck, and recondition cars. Years of experience in the industry have brought us to being among Adelaide’s top wreckers. Car Wreckers Adelaide is a company that is reliable, and consistent with fair prices on cars of every make and condition. Our team of appraisers has years of experience appraising cars, and our team of technicians has years of experience in providing courteous removals that are fast and convenient for our customers. When Car Wreckers in Adelaide is a choice in an “Adelaide Wrecker”, the choice is one that offers car owners with value for their cars, and guaranteed services that are second to none. For more information on our wrecking services in Adelaide, or to get an instant cash quote for your car, please contact Car Wreckers Adelaide at the number below. Quotes can also be obtained by contacting us through our “Get a Quote” form at the top right of this page. We buy any make and condition of a car for up to $9,999 cash. Contact us for a CASH for Cars Quote at 0477 413 136.